Despite the diversity of American religious affiliations, the allegedly "fair & balanced" Fox "News" channel channels almost exclusively the teachings of the Roman Catholic Church. While liberal, Protestant clergy (many of whom are, gasp, women) and rabbis are conspicuously absent on Fox, Catholic priest Father Jonathan Morris, formerly of the wealthy and disgraced Legionaries of Christ, has a Sunday gig on Fox & Friends as well as appearances on other shows on Fox News and Fox Business where he preaches the right wing gospel of "supply side Jesus." Many, if not a majority, of Fox's hosts are Catholics. So who do ya think provided some Christmas inspiration, as well as reinforcing the patented Fox "war on Christmas" propaganda, this morning on Fox & Friends - why it was NY Catholic potentate, Archbishop Timothy Dolan. Seems like Rupert Murdoch's papal knighthood is reaping some sweet earthly rewards for the one true Fox church. Those devout Christians at Fox News, so busy scouring the country looking for ways to disparage and demean Americans’ holiday observances, found their latest excuse for seasonal sneer at the U.S. Capitol. Fox Nation – the website that purports to celebrate America – took a trumped up resentment from CNS News and made its own distorted post about it called, U.S. Capitol Christmas Tree Pays Homage to Obama—But Not Jesus. Donald “I have a great relationship with the blacks” Trump is still threatening to run for president. Early in his lengthy interview on On The Record Wednesday night (December 21, 2011), Trump accused President Obama of being “delusional.” But if so, it must be contagious. Because Trump – the same guy whose questioning President Obama’s birth certificate was completely debunked, who suggested Obama is a racist who only got into Harvard via affirmative action and who accused African American voters of being racists for voting for Obama in such large numbers – actually seems to think he’d do well with the black vote. He also boasted that he had “by far the highest number” in a presidential poll when in fact, he came in a distant third to Obama and Mitt Romney. After Bill O’Reilly’s lengthy interview with Bill Clinton last night (12/20/11), there was a shorter interview with presidential candidate Newt Gingrich. O’Reilly spent most of the discussion arguing with Gingrich about his plan to attack federal judges whose rulings he disapproves of. Bill O'Reilly talks the talk about how those who say the word "holiday" in place of "Christmas," should be, in the words of Ebenezer Scrooge, "boiled with his own pudding, and buried with a stake of holly through his heart!" But yet, Bill might not be walking the walk. In one of his recent columns in which O'Reilly asked if Lady Gaga has "jumped the shark," (Oh, the irony) not only did he lapse into blasphemous language; but he did not chide his fellow performance artist (and hers is so much better) for using the dreaded and obscene "H" word for her holiday shop in NY City. Larry Gatlin's Christmas Song Is Christmas BS? Monday, on Fox & Friends, good Christian country crooner, Larry Gatlin, serenaded a smiling and very leggy Gretchen Carlson and Steve Doocy with his song, "No Star in Bethlehem Tonight." Before he began his "special Christmas performance," he told the Christian/Christmas Curvy Couch Crew that he was inspired to write the song when he and his two year old granddaughter were watching TV "the day the terrorists bombed the little church in Bethlehem where historically says that Christ was born." (Uh, biblically speaking, Larry - not historically.) This "broke" Larry's "heart" and he "did what he always does and "picked up this guitar." Larry does seem to have a problem with history as his inspiration wasn't entirely accurate - but as this is Fox & Friends, who cares about accuracy! On Monday’s Your World (12/19/11), "Democratic" strategist Pat Caddell followed up his Hannity appearance, in which he announced that the White House Chief of Staff and the national security head should be arrested, with a promotion of his editorial, written with fellow Fox “Democrat” Doug Schoen, urging a grassroots effort in New Hampshire to write in Hillary Clinton's name during the Jan. 10 Democratic primary. Never mind that Caddell and Schoen concede that Clinton “has expressed no interest in running.” Never mind that even host Neil Cavuto made it clear he couldn’t take the proposal seriously. It had the potential to hurt President Obama so what’s not to like if you’re Fox News? 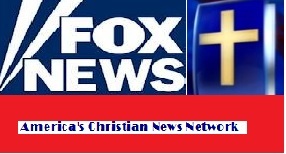 Acting on orders from Jesus and Roger Ailes, Fox "News" is now the unofficial Tim Tebow network. Fox's old time bible hour, otherwise known as Fox & Friends, never wastes an opportunity to shower Jesus' brother by another mother with hosannas in the highest. This morning, Gretchen Carlson and washed up country star (?) Larry Gatlin interviewed the author of a book about Tebow who, as we know, is persecuted because he is a Christian. You could feel the love coming and Christian fellowship oozing from the curvy couch.